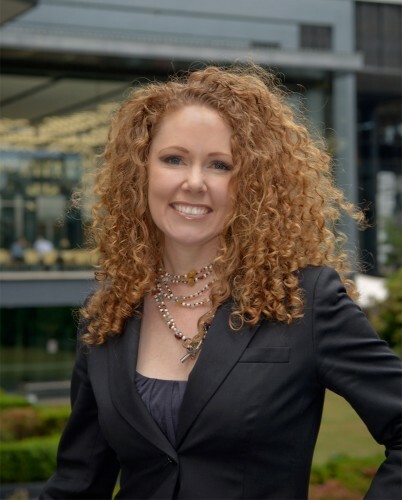 Tourism Australia has confirmed Lisa Ronson will be joining Australia’s national tourism organisation as its new Chief Marketing Officer. Ronson replaces Nick Baker who recently announced he will be leaving Tourism Australia to pursue new opportunities early next year. Ronson joins Tourism Australia from Westpac, where she is currently the financial services company’s Head of Marketing Services. Ronson has 18 years marketing experience, in a career which has seen her hold senior brand marketing, advertising and sponsorship roles working across a range of diverse industries and global brands, including David Jones, Telstra, Visa International and Carlton and United Breweries. Tourism Australia managing director John O’Sullivan, said Ronson’s work with high profile, national and international brands as well as her extensive digital experience had been key factors in her appointment. “I’m delighted we’ve been able to complete the search for a new chief marketing officer so quickly and, in Lisa, believe we have found the right person to take our marketing strategy forward,” he said. O’Sullivan said Ronson was a delivery-focused marketer with an outstanding track record of achieving results in every industry where she has worked. “Tourism is an incredibly competitive global industry, with some 130 national tourism organisations all competing for the international tourist dollar. I think Lisa’s broad marketing experience in non-tourism sectors such as FMCG, Retail and Financial Services will bring fresh ideas and help keep us ahead of the pack,” he added. Ronson said she felt privileged and immensely proud to be given the opportunity to help promote her country on the international stage. “Every step in my career has been driven by a desire to deliver outstanding results, work with great people and great brands. Whilst I will miss the team at Westpac, I couldn’t be more pleased with the opportunity that has been put before me and can’t wait to start,” she said. O’Sullivan paid special tribute to outgoing Tourism Australia’s outgoing CMO, Nick Baker. “I’m sure Lisa doesn’t need me to say it, but she has some pretty big shoes to fill in replacing Nick, who has done an outstanding job in leading the marketing team at Tourism Australia for the past seven years,” he said. Ronson will commence her new position in February 2015 but will conduct a proper hand over with Baker before he departs Tourism Australia at the end of January 2015.
iQ box Rob Pyne Sotfball Campbelltown Inc.